Sudden aggression in both humans and dogs linked to to Lyme disease and Lyme vaccine. Lyme disease or the Lyme vaccine can cause neurological damage and aggression misdiagnosed as rage syndrome in dogs or neurological disorders in humans. Sudden, serious aggression in a previously well-mannered dog can be a reaction to Lyme vaccine. When it happens to dogs vaccinated in a diligent rescue facility, it is especially tragic. If untreated, Lyme disease in people can result in neurological disorders such as peripheral neuropathy, including Bell's palsy, as well as pain, numbness or weakness in the limbs. It may take months for aggression, irritability, forgetfulness, difficulty concentrating or other symptoms of mental disorder to manifest. Remember, the Lyme spirochetes attack the brain. The American Academy of Neurology lists "changes in cognitive function such as thinking, reasoning ..."
Dr. Jordan's rescue case history and the dog bite statistics below are connected. Remember this information when a friend confides in you that their dog has become aggressive. If it is Lyme vaccine related, it is tragic but having to destroy a beloved pet due to lack of knowledge is an even worse tragedy. Inexplicable aggression called Rage Syndrome in Springer Spaniels was attributed to an inherited flaw introduced by an outstanding English import back in the 80s. Today we would say that dog's "rage syndrome" was caused by having received a full battery of required vaccinations, from rabies vaccine to Lyme Disease vaccine, just prior to export. As 2017 draws to a close, we can state that "rage syndrome" affects all breeds, from Airedales to Yorkies. That knowledge raises a significant question. 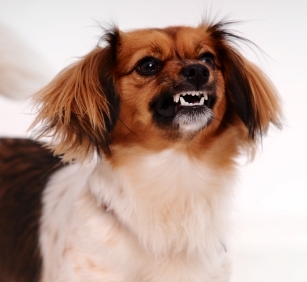 Why is uncharacteristic and sudden aggression more common in purebred dogs? Answer: They are more likely to receive a full barrage of vaccines, including Lyme vaccine. Do mutts and mongrels suffer from sudden unprecedented aggression? Answer: Yes, but they are more often euthanized or dumped at the shelter than are purebred dogs. When this was first compiled in early 2011, we were only beginning to learn about excitotoxins in dog foods as causing behavioral anomalies but we had long been aware of sudden aggression as a reaction to certain vaccines known to affect the neurological system. We do not excuse aggressiveness but it is our duty at TheDogPlace to present emerging information about Lyme Disease vaccines. If knowledge can save one dog from being PTS (killed) when in fact, it needs veterinary treatment, we will have done our job. Some thirty years ago a certain pharmaceutical company charged that a competitor had released a vaccine for Lyme Disease before it had ever been diagnosed in the canine. 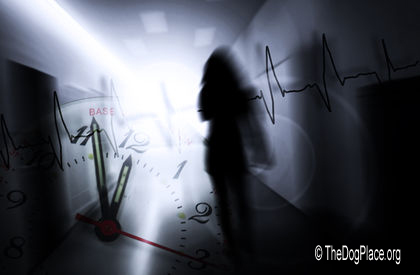 At that time, Lyme Disease was extremely rare. The tick-born illness was first diagnosed in humans in 1975 and not until about 1984 in the dog. 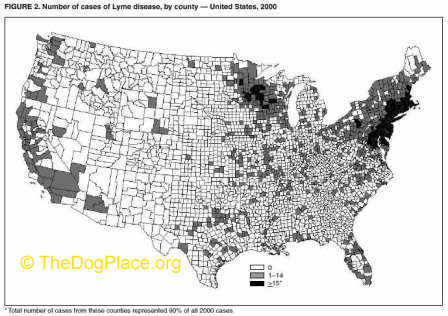 We refer you to the reference links below for information on the origin of Lyme Disease and the possible connection to the Plum Island research facility near Lyme, Ct.
Dog owners, frightened by pharmaceutical hype, rushed to vaccinate their pets against Lyme Disease. Dog bite statistics are unreliable so we can't correlate the vaccine epidemic to increased aggression or bite statistics but Lyme vaccine today is a non-essential, “non-core vaccine”. 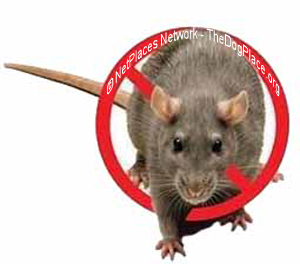 AMVA released the now-famous list of core and non-core vaccines in 2006 when the veterinary associations, red-faced and forced to admit unnecessary, risky vaccines had been widely recommended, finally relented to public exposure. A large part of that exposure and pressure was due to Project 2000: Vaccines launched by this site and referenced by dozens of veterinary, medical, and other professional sites. This situation begs for study and input from those who, upon reflection, may have experienced inexplicable "bad temper" or aggression which their vets did not relate to a recent vaccination. Here is an example from Peppertree Rescue. …MOJO had continued to do well, extremely well after his treatment for Lyme disease which seemingly eradicated his sudden and serious aggression. On Saturday, we had an outdoor clinic/book & bake sale and in the beginning he was just fantastic: our good old happy boy back. Nothing rattled him, not even some snipping from an older, "grouchy" Golden girl. He just looked at her and turned away like "Bad manners, ma'm. “I'm a good boy." During the last hour of the four-hour event, however, his behavior spiraled downhill badly. The first (and second) episode were inexplicable and frightening. One of our volunteer's sons (around 10 - 11) had been charmed by him and even asked his parents if they could foster him. His mom explained that a dog with any aggression in its past can't be fostered or placed in a home with children – but added that it seemed he had really been cured by having the Lyme treated. Later Garrett was walking with his father, who had Mojo, and all was fine. Garrett then turned to leave and Mojo launched himself at the boy, growling and clearly intending to do harm. The father stopped him of course and Garrett turned back to see what the commotion had been about. Mojo settled down again, tail wagging, 'smiling' at Garrett – the same nice dog he'd been before. But when Garrett again turned away to go elsewhere, Mojo did it again -- launched himself after him trying to attack and hurt. We, of course, crated him and assigned someone to stay beside him. He would seem fine for a while, but on two occasions, as some children were calmly walking nearby, he went "ballistic", growling and trying to jump through the crate to get to them. One of our volunteers wrote in this morning that she had recently had a chance to discuss this with her vet, who had been to a Lyme conference. I asked her if she had heard about aggression with Lyme positive dogs and she said yes it means it has started attacking their neurological system and unfortunately she felt there was little hope for them once it got this far. With a great deal of heartbreak, we have to assume that this is the case with Mojo. Treatment helped, dramatically, but it didn't totally reverse the damage, apparently. And it's turned him into a sporadically - unpredictably - dangerous dog. Heartbreaking. We've also learned in all of this that Lyme is from the same family as syphilis. As history students will remember, that too could cause mental derangement and violence, and that too was not reversible. So -- unhappy, very upsetting conclusion, but important knowledge still. I wonder if rescues in areas which have had more Lyme cases for a longer time have seen an increase in inexplicable aggression in dogs they felt pretty sure had good temperament? We contacted Peppertree regarding any additional info or occurrences of Lyme treatment and neurological problems. And by the way, the website indicates a dedication and capability beyond that of the average rescue group. Worth a visit!! The only new information was that we had a similar case afterward, unfortunately with the same results- as Ms. Sommers post noted, once the disease attacks the nervous system to the point that it can result in aggressive behavior, there is no treatment to reverse the effects. Highly acclaimed medical paper by Dr. Robert C. Bransfield, M.D. Vet on neurological & immune systems; exposure and cause.